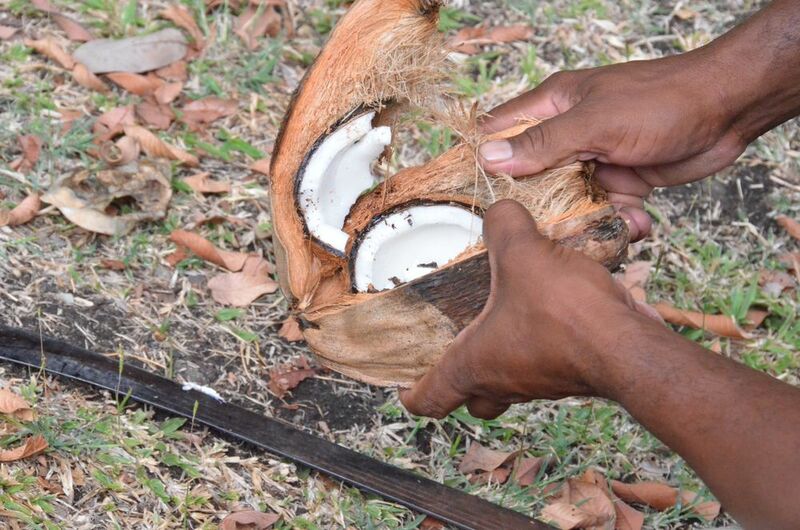 Belize and Grenada on Vacationist! The Sands, Turks & Caicos on Jetsetter! Among many high-end, large, expensive resorts along the beautiful Grace Bay, The Sands is a breath of fresh air. The rates are reasonable and even more so with the Jetsetter promotion. It's extremely family-friendly without being cheesy, is smack-dab on the beach and walking distance to a nice shopping area with boutiques and restaurants to please everyone. Take a look! Victoria House, Ambergris Caye, Belize on Vacationist! Victoria House is arguably the best hotel on Ambergris Cay in Belize, and they have just announced special rates when you book through Vacationist.com. We stayed there years ago, and since then they have added pools, villas and improved on restaurant and bar offerings. It remains small at just 42 rooms, but gives all the amenities that you would expect from a large resort. Victoria House is located far enough away from San Pedro, the main town, to feel quiet, yet close enough that it is easily and quickly accessible. And there is SO MUCH to do there -- some of the world's best snorkeling and diving, fishing, day trips to the mainland for tours of Mayan ruins, rain forest hikes, zip-lining, cave tubing, etc. Check it out! Tradewind Aviation will be adding scheduled service from San Juan to Anguilla beginning October 31, 2013. It's not cheap (lowest fare is around $350 one way), but if you do not like taking boats or ferries and can shell out the extra cash, then this may be a good option for you! They will be offering two flights per day, morning and afternoon. The flight is just over an hour. 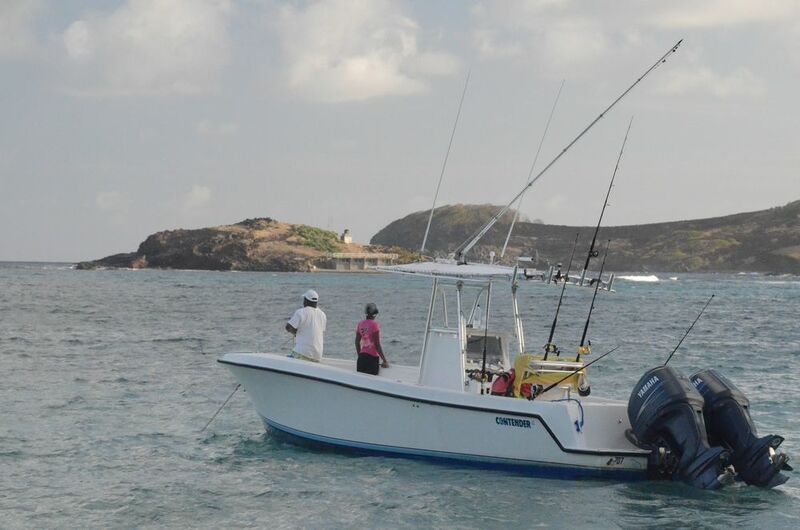 We knew we wanted to go on a fishing charter one day and when we spoke to Dwight from Balliceaux Charters, he offered up many different customizable options of how to spend the day. The one we opted to do included fishing along the way to and from Mustique, some time ashore (lunch and shopping) and snorkeling. Including Mustique was not something we had planned on doing, and it certainly added some cost, but we have no regrets and had an amazing day. Dwight worked with our schedule and our preferences without question. He met us at the dock in town and off we went! The fishing wasn't the greatest (one or two got away and we brought in one barracuda), but visiting Mustique and the snorkeling there made it worth it. Dwight was accommodating and dropped us off on the beach right in front of the hotel, saving us time and cab fare. We readily recommend Balliceaux Charters for a day out on the water and/or island hopping! Wow, total deal!! Visit Vacationist.com to see the bargains they have available for this new boutique resort on beautiful Grace Bay. One Bedroom units as low as $216 per night, Two Bedroom units as low as $297 per night! Be quick to secure your preferred dates -- the sale ends July 4th, 2013. Travel between now and November 30. A Thanksgiving getaway perhaps?? 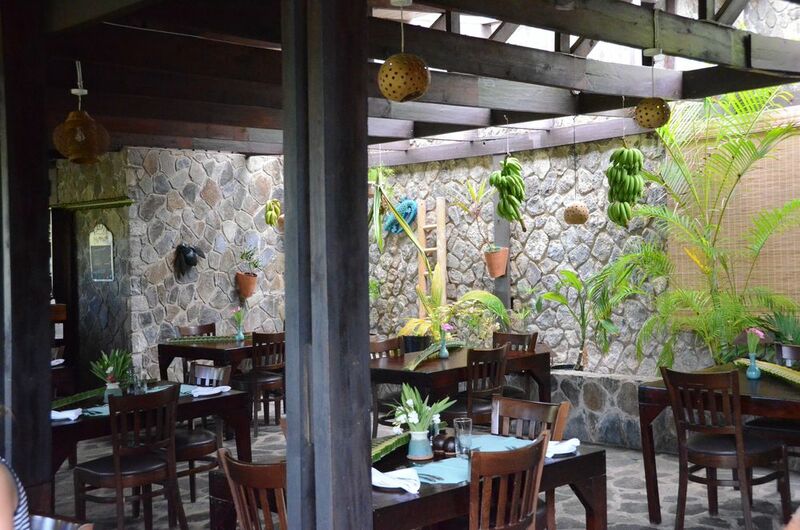 Mount Cinnamon in Grenada is on sale on Vacationist.com until June 26. Rates as low as $221 for One Bedroom Hacienda Suite, $278 for One Bedroom Luxury Villa and $493 for Two Bedroom Luxury Villa. Travel to be completed by October 31, 2013. On the same day we visited Firefly Plantation, we made a stop at Old Hegg Turtle Sanctuary since they're both in the same general area (the other side of the island from where we were staying). There was a large group of cruise ship-based tourists when we first arrived but eventually it thinned out. The facility is nothing fancy. 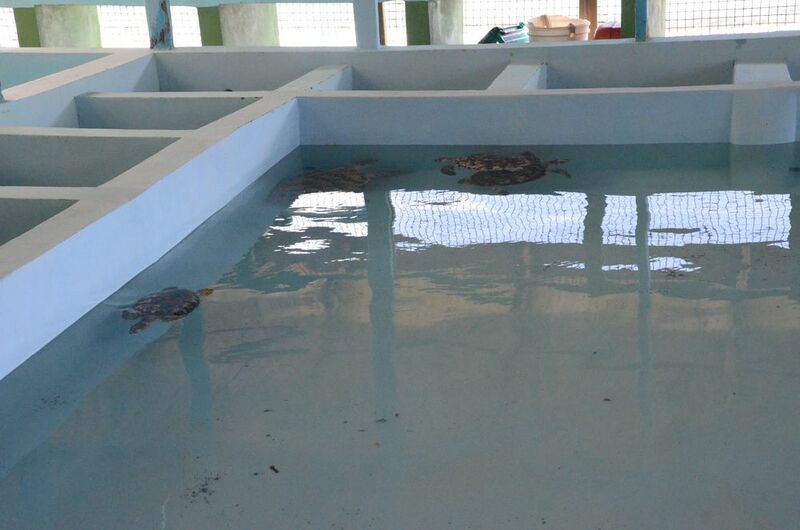 There is one big pool where the older turtles swim, another fairly large one for the babies and a number of smaller pools where other turtles are kept. Visitors are allowed to touch the larger turtles as they swim by, but are instructed to keep hands away from the babies. There is a small admission fee/donation and there's really no official tour, but the owner of the sanctuary is there to tell you about the turtles and answer any questions you may have. There's also an opportunity to purchase t-shirts and the like. 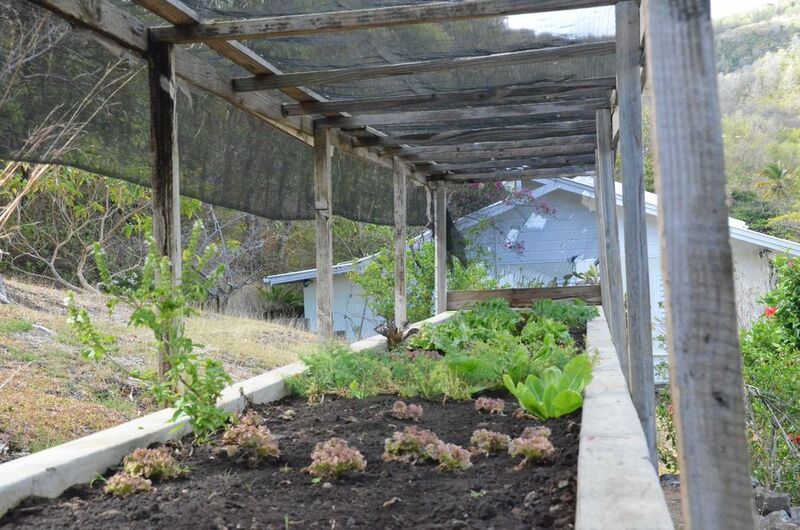 This is totally a Must-Do while on the island of Bequia! It's a unique experience and one that even my reluctant husband thoroughly enjoyed! 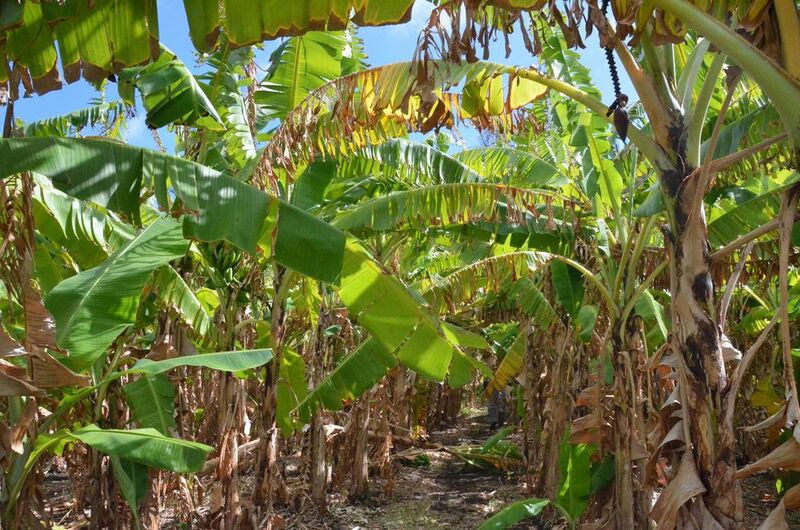 Our guide, Keith, walked us through all the different parts of the plantation including the herb and vegetable gardens, mango trees, banana tree grove, coconut trees, and all sorts of other tropical fruit trees that we had never heard of. He gave us fresh samples of anything and everything that was in season. 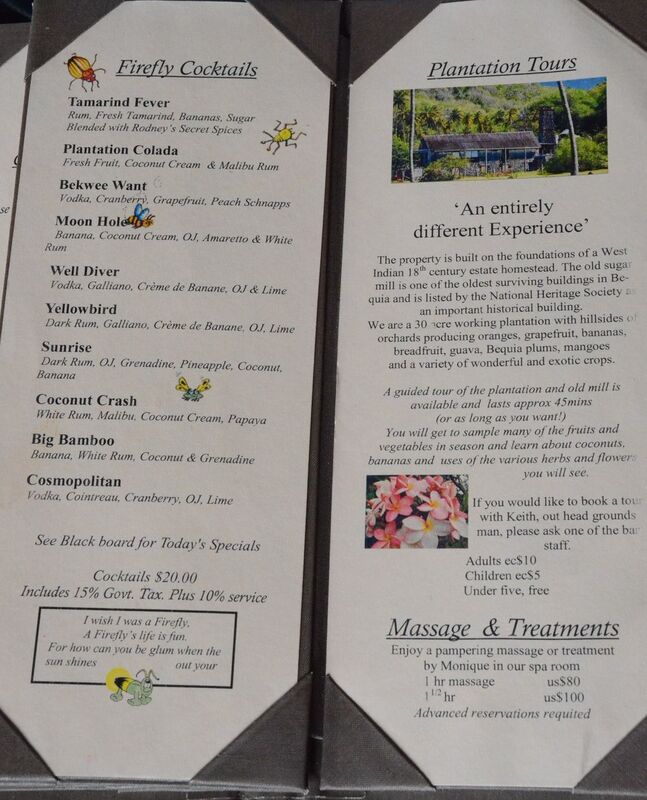 We learned more about the plantation in general, how it operates and serves as a source for Firefly Mustique as well. We spent a lovely afternoon at the Firefly Plantation Bequia. First we enjoyed lunch in the restaurant. The service was wonderful -- everyone was very friendly, jovial and helpful. The food was delicious and highly recommended. 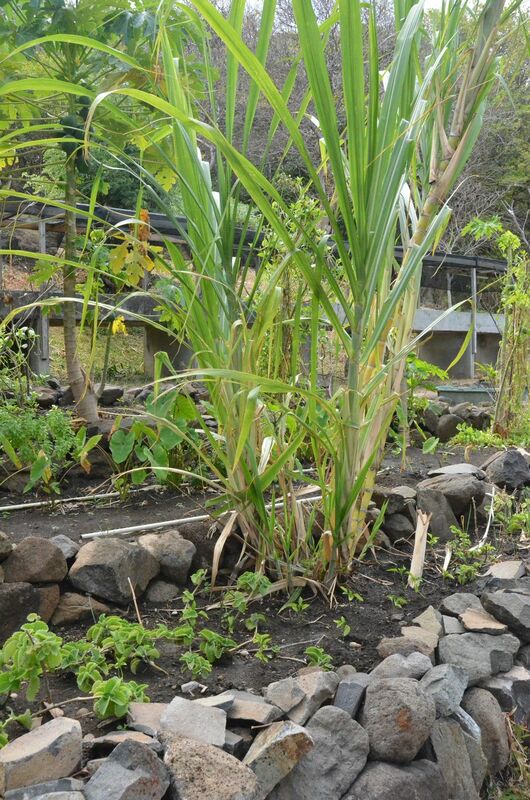 As it is hillside, there's a view of the extensive land that makes up the plantation, all the way to the beach. As lunch guests, you are invited to use the pool for the afternoon, which is a little bonus. 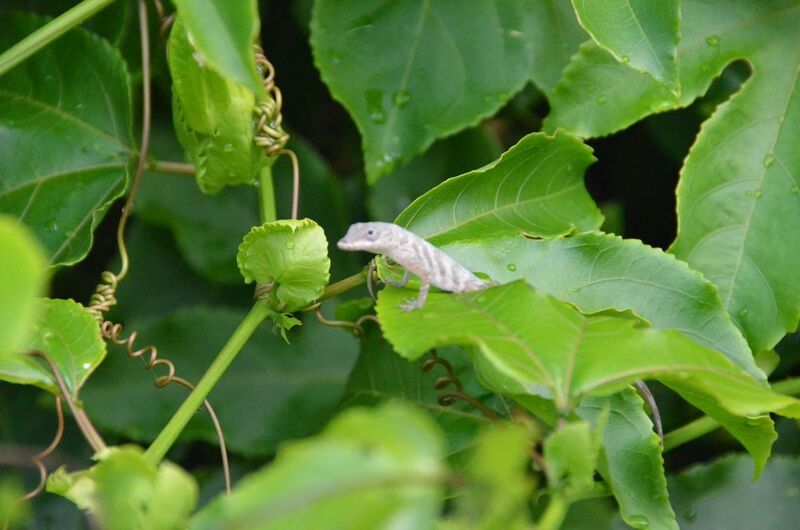 A morning or afternoon at Firefly Plantation (including the tour) is a "Must Do" while on the island. Package it with a visit to the Turtle Sanctuary, and you have yourself a nice little day trip. :-) If you have time and desire, maybe you could work on your membership to the Firefly Martini Club as well! Travel site Vacationist.com is featuring specials for Frenchmans Hotel, Tortola beginning today, May 22! Menus with prices as of late March, 2013 are posted below, but just to give a rough idea of price, our dinner bill was $566 EC (roughly $210 US) for two adults, two children, cocktails, juice, appetizers, desserts, bottle of wine and service. To be fair, $185 EC (roughly $70 US) of that was for the bottle of wine. So, all in all, we didn't think it was too bad. Not cheap, but not expensive, either. Travel site Jetsetter.com is featuring the Frangipani Hotel on Anguilla's gorgeous Meads Bay! We have never stayed at Frangipani, but have eaten at the hotel's restaurant, Straw Hat, numerous times and have always had good experiences. The location can't be beat -- it's smack-dab on the beach and the rates offered on Jetsetter this week make it a great deal for an off-season getaway. 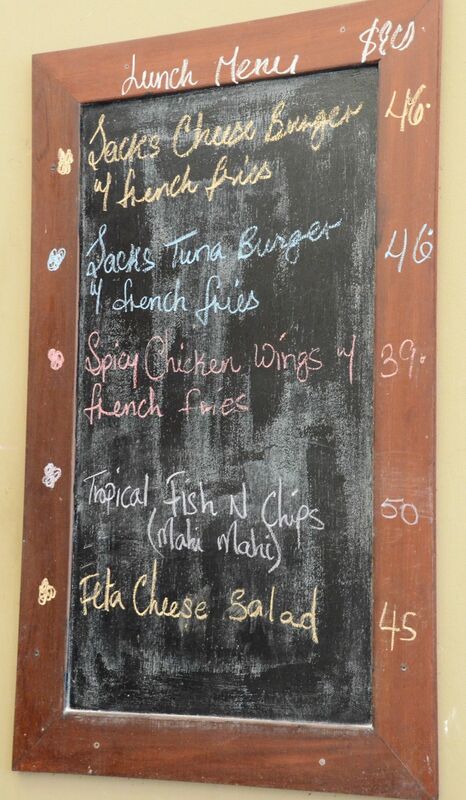 We enjoyed Jack's Bar, in fact we ate there twice for lunch on our Bequia trip! It's got the market cornered, in that it's the only establishment on Princess Margaret Beach, but that's not the only reason to love it. 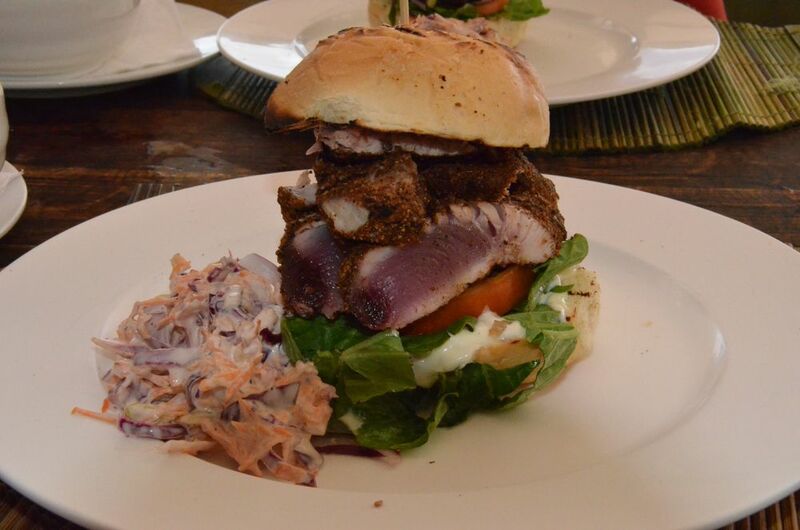 Add appetizing menu, delicious food and gorgeous beach location to the list. The style and vibe are unique on the island -- we thought it was a "St. Barth meets Bequia" sort of thing. It's super laid-back, yet has a contemporary style and lounge-y music playing in the background. 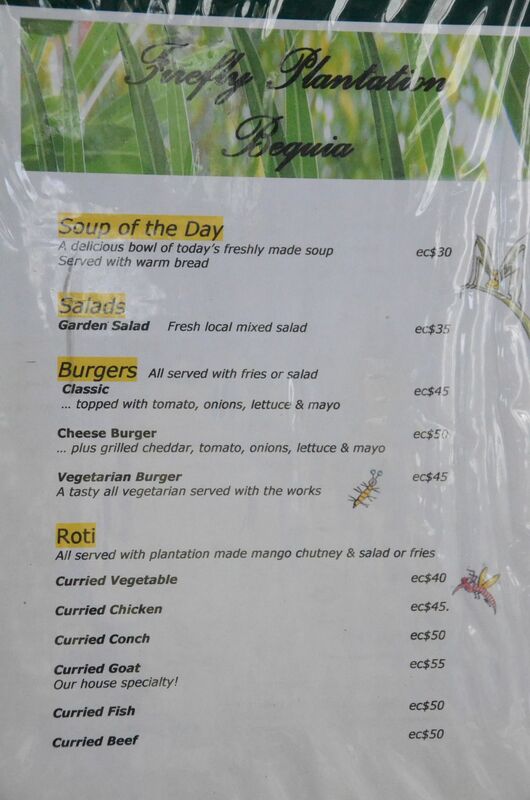 I'll admit that it was a bit pricey for Bequia standards. 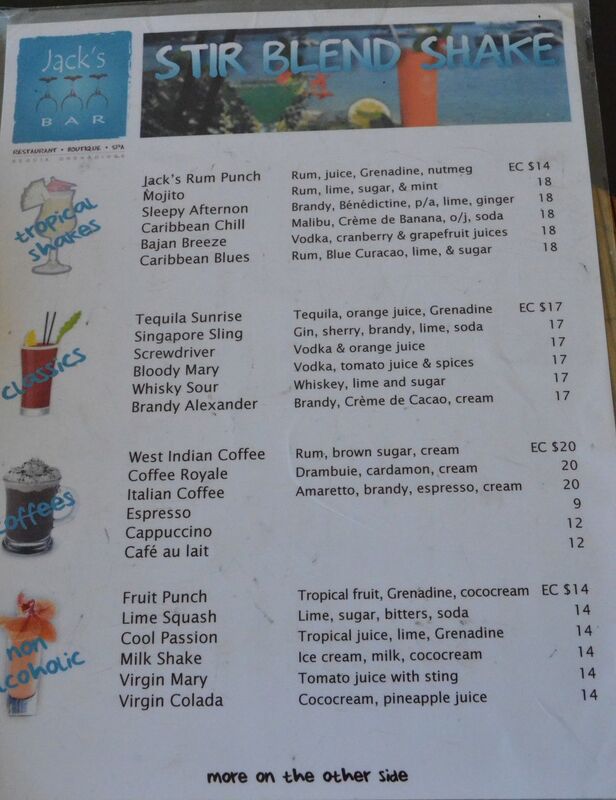 Our average bill was $123 USD, which included lunch for four, beers and rum punches for the two adults, beach chair rental ($15EC, roughly $5-$6 USD each chair), and service charge. To get there, follow the instructions to get to Princess Margaret Beach -- taxi or water taxi are your best bets as parking is extremely limited. Princess Margaret Beach (formerly known as Tony Gibbons Beach) was our favorite beach on the island. On one end you'll find Jack's Bar and a dinghy dock. The other end has a small cave of sorts and a reef for some truly incredible snorkeling. And in between is just beautiful sand and water. The sea life was so abundant on that reef, we just couldn't believe it. Among many other things, we saw lobsters, spotted moray eels, trunkfish, lizardfish and schools of hundreds of fish. You can rent beach chairs at Jack's for $15EC each ($5-6US). 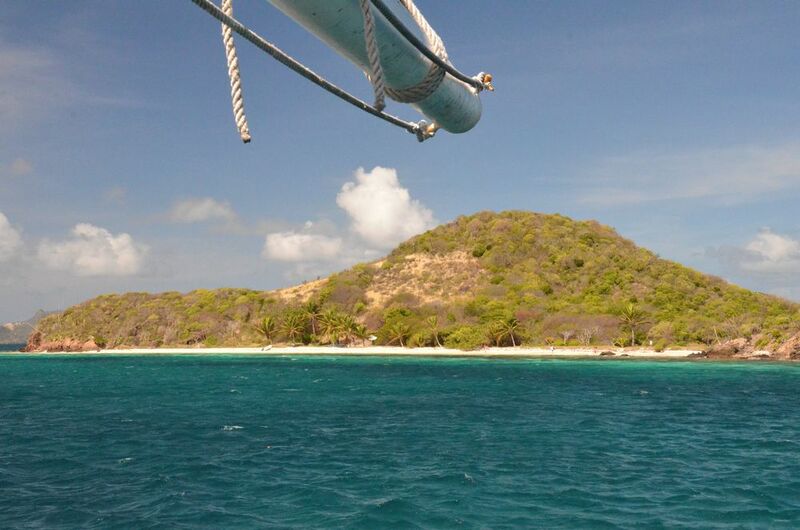 One of our days was spent aboard the Friendship Rose enjoying one of their scheduled trips to the Tobago Cays. It was a lovely day of sailing, snorkeling, eating and relaxing. Their website contains much of the needed information about scheduled trips, itineraries and rates. The rates are very reasonable, especially for families as children are either free or half-price, depending on their ages. 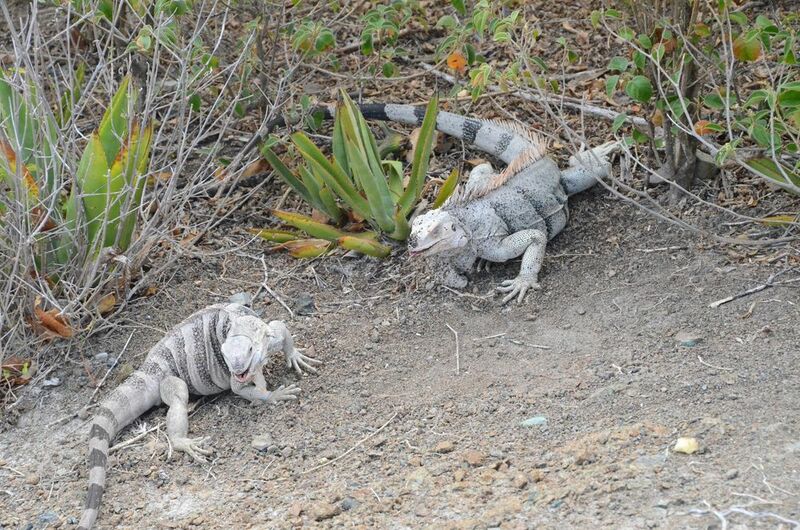 We went on their scheduled day trip to the Tobago Cays. The food and service on board was better than we had imagined it would be (including the warm croissants oozing with chocolate, mmm....). 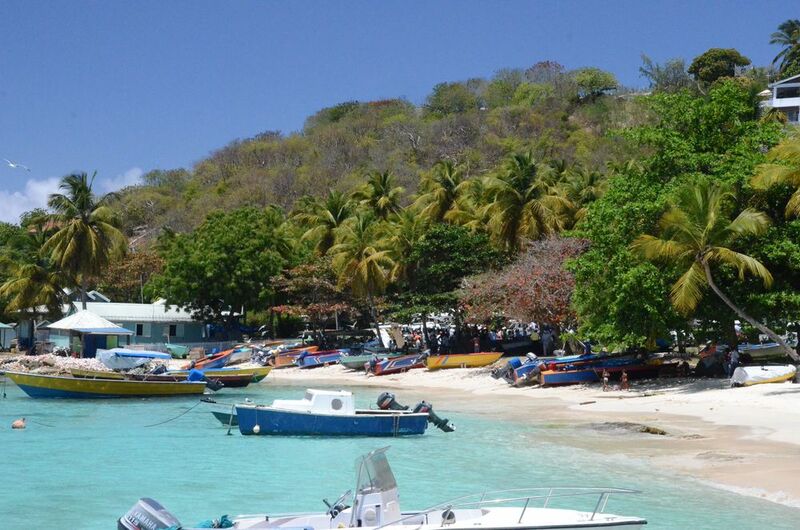 When you arrive at the Tobago Cays, you'll have your choice of hanging out on the small beach, doing a mini-hike to find and feed the iguanas, snorkeling with the turtles or getting shuttled over to another snorkel site. Whatever you choose to do first, you'll most likely have time to do all of the above before heading back to the boat for lunch and setting sail for the return trip. Overall, money and time well-spent! We definitely recommend it! If you have questions or are looking for more specific info, send us an email. We're more than happy to help! 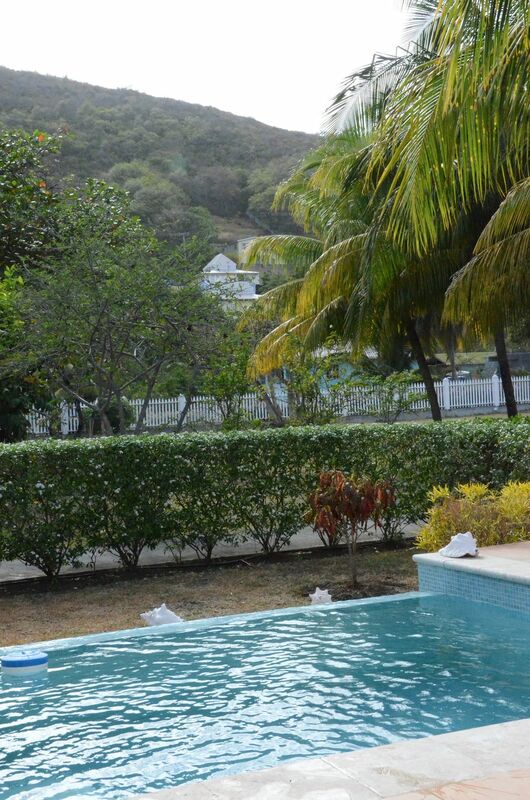 Our stay at Bequia Beach Hotel was absolutely wonderful! We stayed in Villa Mustique, one of three villas that have two bedrooms (1 king, 2 twins), 2 full bathrooms, kitchenette (fridge, sink, burner, plates, glasses, etc.) and patio with private plunge pool. 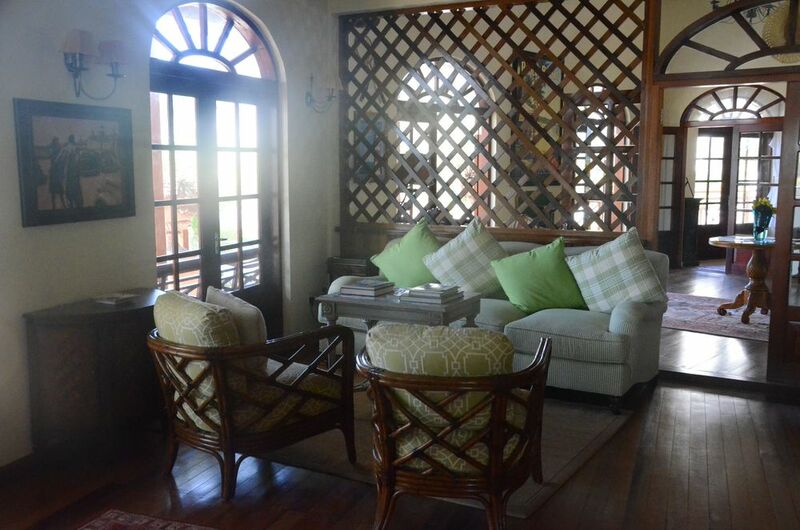 The villa was cleaned every day and was stocked with wonderful-smelling Molton Brown toiletries. On the first night, we attended the Owner's Cocktail Party, mingled with some other guests and met the owner, Bengt Mortstedt. Bengt has done an amazing job of expanding and improving the original property without losing the feel and ambiance of a small boutique hotel. From what I heard, there are plans in the pipeline for a bit more development, but hopefully not "too much". We like it just the way it is! Something to note: There are "beach dogs" that occasionally roam around the property. We are dog lovers, so it didn't faze or bother us, but there were guests who did not appreciate the four-legged regulars. 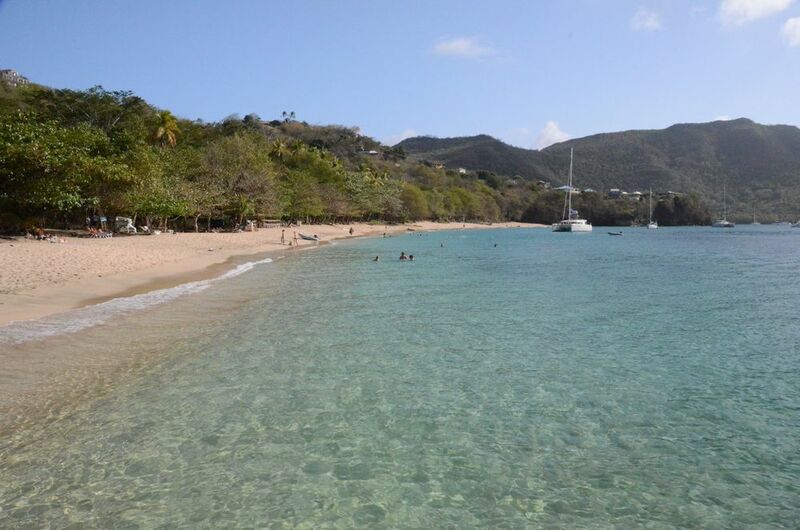 We really, really loved Bequia Beach Hotel. This is the Caribbean, old-school Caribbean, and you will not find a Four Seasons or Ritz-Carlton here, thankfully (in my humble opinion). So realize that you may experience "island time", but when everyone is happy and in a good mood, and you're on vacation, who cares? We will not hesitate to return and are already looking forward to our next opportunity! The resort has fewer than 30 units, between rooms and 1- and 2-bedroom villas. There are two pools, although one is hillside and, regretfully we never did go use it. There is a very large, beautiful pool near the beach and bar/restaurant. You'll find an attendant there to hand out towels and help in any other way (cushions, etc.). We were there the week leading up to the Easter Regatta, which is a very busy time, but there was never a "crowded" feeling. 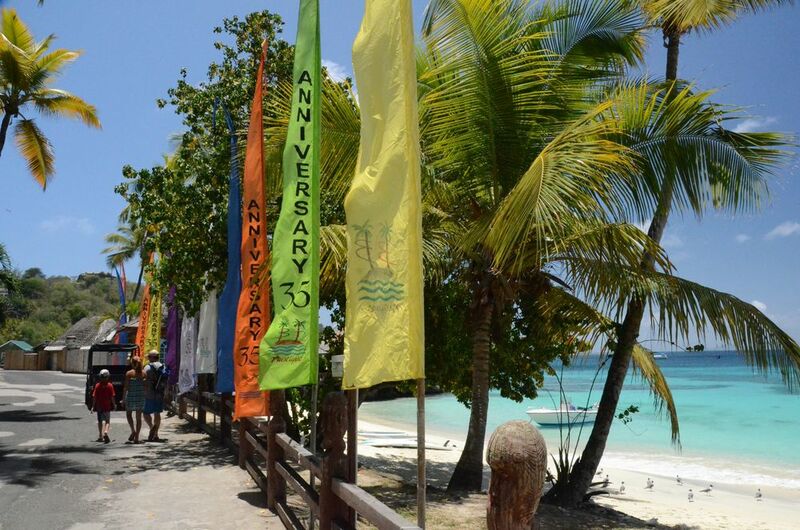 In addition, there are two restaurants, one of which (Blue Tropic) is open only a couple of nights each week. The other (Bagatelle) is open every day for breakfast, lunch and dinner. Bagatelle also hosts some fun, regular events each week. The reception building is where you'll find the front desk for check-in and -out as well as concierge-type services such as day trip arrangements, calling for a taxi or restaurant reservations. Also in that building is a computer with internet access for guest use and an inviting reading room, stocked with all sorts of books just in case you forgot to bring yours. The staff was incredibly friendly and helpful. Very quickly we learned their names and they knew us as well. If there was a question to which they didn't know the answer (not very often), they were quick to phone someone and get an answer. Upon arrival, we were met with a tray of fruit punches, garnished with gorgeous fresh flowers. When we were, sadly, leaving, a couple of the staff members stood outside and waved as we drove away. That gesture in particular felt very genuine and left a lasting impression. Oh my gosh, wow!!! After much research and years of talking about it, we took a trip to the charming, teeny island of Bequia, one of the Grenadine islands. Hesitation in years past was due to 1) worry over whether or not there would be enough to do on such a small island and 2) high cost of getting there. In doing our research, we discovered that there was plenty to do. Unfortunately, there's really nothing that can be done to avoid the high cost of getting there. 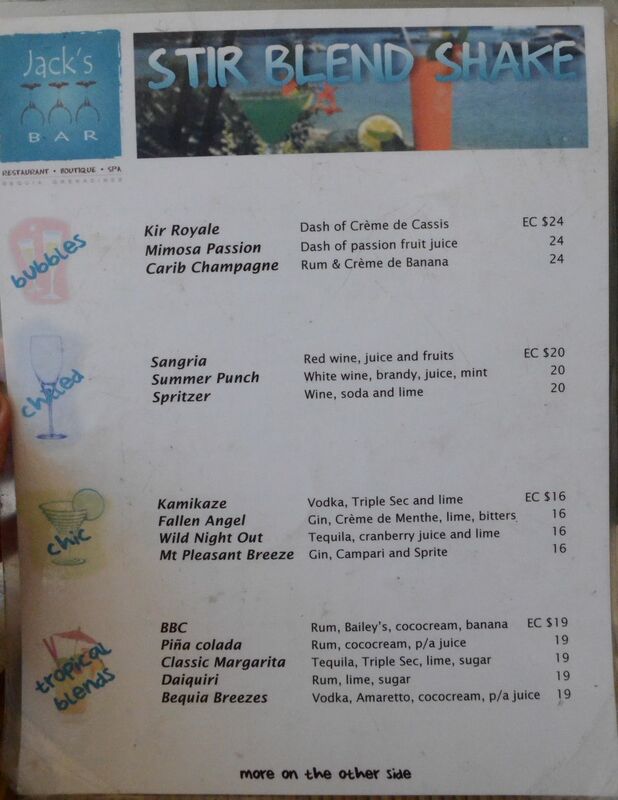 We did end up splurging a bit on our flight from Barbados to Bequia. Flying via scheduled flights would've had us waiting in Barbados for about 3 hours for our flight to Bequia. For not that much more money, our hotel (Bequia Beach Hotel) booked us a private charter via Mustique Airways which was worth every additional penny! Our flight from JFK arrived a little late, but since the private charter worked on our schedule, there was nothing to worry about! We had the whole (tiny) airplane to ourselves. All four passenger seats. :-) Leading up to the trip, I had a fair amount of anxiety about the puddle-jumper flight, but it was actually kind of fun. The plane was quite comfortable, with cushy leather seats and the views from up there were incredible. Again, no worries! Isn't that what a Caribbean vacation should be like? One thing I found interesting was that we must've been asked a dozen times how we found out about Bequia. Prior to our trip, a fair number of people asked me where we were going on vacation this year and not one person I told had ever heard of Bequia. So, I guess it is a fair question to ask how we found out about it! As the taxi driver drove us through the village on the way to the airport to catch our departing flight, we saw many people hanging around as it was a holiday that day. It was obvious where we were headed because of all the luggage we had with us. This is true -- we heard jovial yells of "Turn around! Don't go! Come back!" as we drove past one group of people. We chuckled, but it showed the pride the locals have in their home and their island. Rest assured, we will be back!